• 1 x Metallic coin inspired by Detective Pikachu. 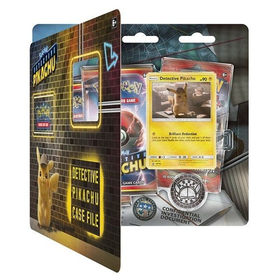 • 2 x Pokemon TCG: Detective Pikachu booster packs. 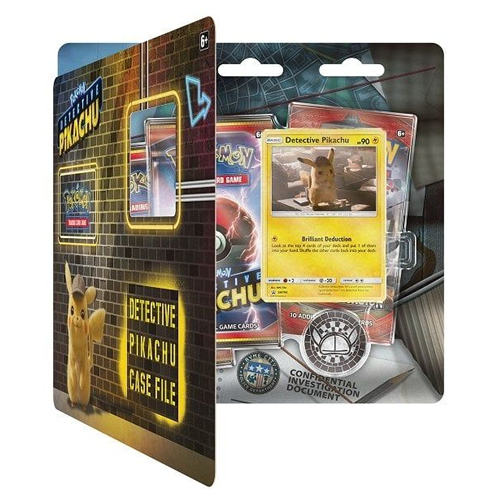 • 1 x Additional Pokemon TCG booster pack. • 1 x Code card for the Pokemon Trading Card Game Online.